Gesshh, I've been looking at my Calender for long time when I came home today. Seems like there should be something happening on the 25th of August. I keep thinking, it's August 25 today, but I couldn't remember what was on the 25! My Gossshh! When my Babe Dako got home, he greeted me Happy Anniversary I was surprised Waaaaaa! I really forgot that today is the day we met online! 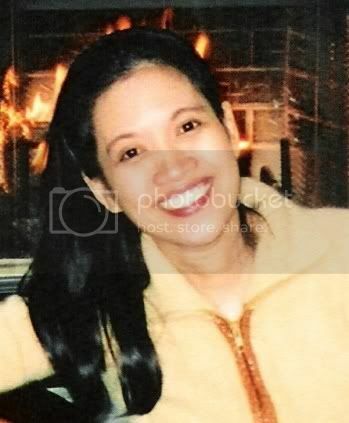 It was august 25, 2005 when I worked in Singapore I met my Babe Dako online. I couldn't believe that it's been 3 years has gone and here we are living happily together. I am happy to know that in less than a month my Babe Dako will finally be going home with me. I cannot believe this much time has passed and he has not met my parents. Good for us though the time is almost here. I really miss my family and cannot wait to be home again. Wow! happy anniversary to you and your babe dako sis.. more years to come and babies soon..hehehe..
that's nice..babe dako will finally meet your family :] ingat ! Thank you sis Twinks. Will grab the tag soon. Btw, He told me, he's a little bit nervous. You know the feeling meeting your in laws for the first time diba? hi dezz, he's really sweet! so you're coming home for a vacation here in the phils? have a safe trip! God Bless! Aha...so first time pala ma meet ni Hubby mo ang iyong parents. Tell him not to be nervous. I'm sure they already adore him kahit di pa sya na meet in person. He makes their lovely daughter happy and that's what every parent wants, di ba?